I hope everyone who reads the blog is doing great. We are excited here in Anaheim as a new season is right around the corner. Our rookie camp went great and our main camp is going smooth as well. At HockeySc.com, we have added some great content since my last post about the site. First up is Darryl Nelson’s Fall Phase 1. What I have always liked about Darryl’s programs is the simplicity. Darryl ensures that his players get good and strong at the basics in the weight room. This is very similar to a way that I would design an in-season program. Next up is my Off-Season Phase 1. I think this is actually the first off-season phase that I have posted on the site. We really had a good off-season here with a lot more players sticking around at the beginning of the summer before they headed back to their off-season homes. In the program, you can see how we switched over to a less CNS intensive model in the weight room. Mondays and Wednesdays were Leg emphasis days while Tuesdays and Thursdays were a more upper body emphasis. Next up is Kevin Neelds’ Hip Stabilization Exercises video. Good exercises from Kevin here that are really easy to implement once your athletes learn them. We try to perform several hip stabilization exercise as well as exercises for flexion, extension, abduction, and adduction. Darryl added his 2-Day In-Season Strength Program that he uses with a 14-year old goalie. This is a great 2-day total body program. 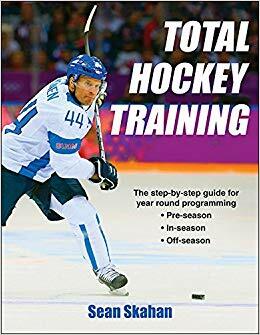 We also use several of the exercises in this program in-season. Next up was an article that I originally read at Mike Boyle’s blog. It is a good piece- Great Advice to Start the Season by Dan Bauer. It is really a good, common sense advice article that puts things into perspective for hockey parents. Even though our site is for strength and conditioning, these articles are a nice addition. We hope you enjoy the site. If there is anything that you need to help make your experience at HockeySC better, please don’t hesitate to contact us.